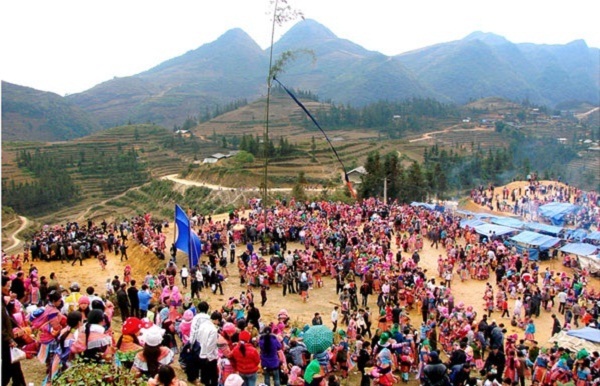 Travel to Sapa – Gau Tao festival of Mông ethnic minority has recently become one of the most favorite excursion tours to highlands and Northern mountainous areas of Vietnam, especially to foreign travellers. 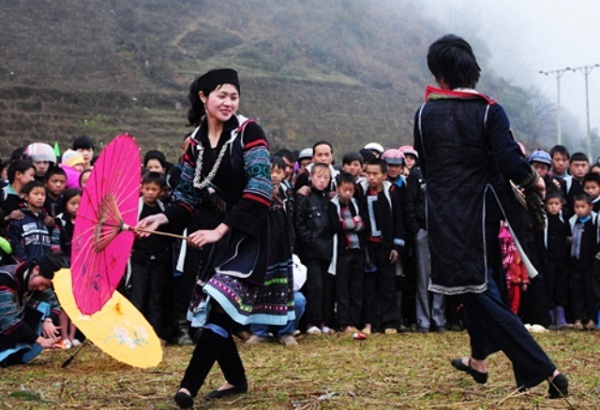 Visiting Sapa on spring and Tet holidays, you will not only be excited when enjoying blooming peach trees and plum but also have a great chance to discover the mysteries in the Mông minority’s customs and habits, most typically is Gầu Tào festival. In the early morning of the festival’s first day, people gather at the area where this expected festival takes place. After the opening worship of the shaman, young girls and boys, dressed in new and colourful traditional costumes, necklaces and bracelets of Mông ethnic minority begin singing their popular songs in praise of the village and their love songs. 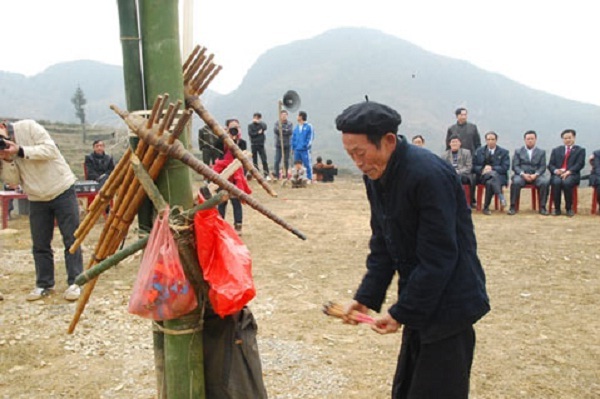 After that, hundreds of people go scattering to the fields, to the hills for fun activities: some groups blow bamboo plants, leaf-flutes while others play traditional children’s games such as spinning, sticking, etc. 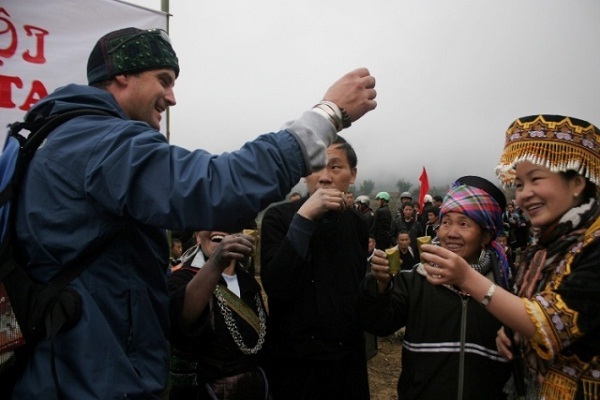 Almost every traveller who had participated in the festival agreed that having the chance to join in these kinds of activities together with locals is the best part of a ethnic travel tour to Sapa. When the festival is over, on behalf of house-owner, the magician expresses gratitude to the Earth, Heaven and Gods before gets off the new-year tree, burns worship-paper and finally, sprays the alcohol round. A piece of red cloth is taken off and tied to the house-door, meaning to be protected by God. A pair of a boy and a girl or a newly-wed couple is asked to make a bamboo-mat from the tree – a symbolic action of wishing to have good children as well as prevent the evils.